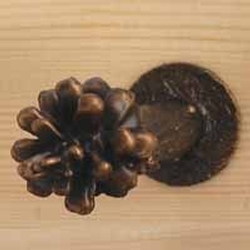 This simple, solid bronze hook is great for towels, robes, coats, hats and the like. The hook pictured is a longer version made for use as a drapery tieback post; yours would only protrude approximately 2-1/2". You will admire these tasteful handles each time you use them! 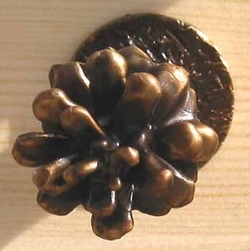 This item is hand made in the Mountains of the Pacific Northwest by a handcrafter of solid, cast silicone bronze hardware and decorative accessories for log, timber frame, post and pole and other rustic homes, lodges and Adirondack style cabins.